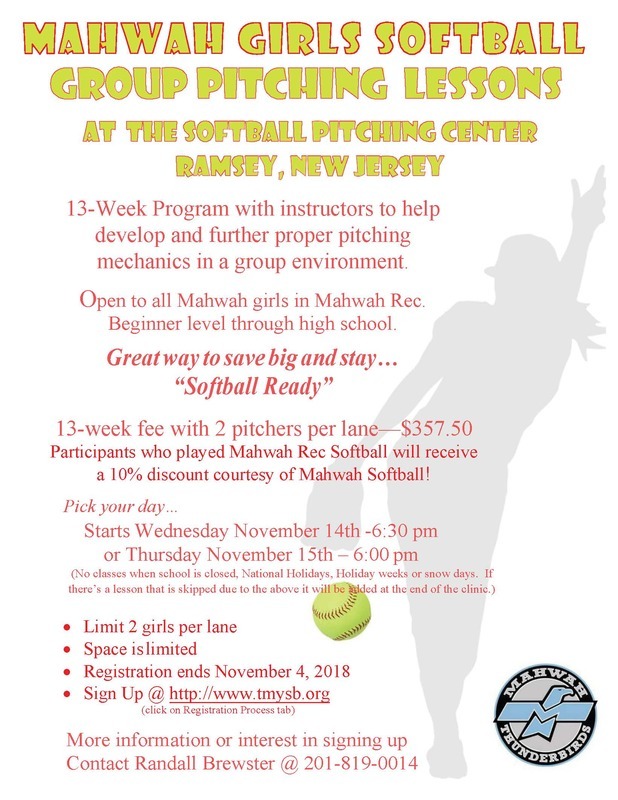 Starting on November 14th 2018 for the third year The Mahwah Softball Program has teamed up with the Softball Pitching Center in Ramsey, NJ to offer group Pitching lessons. Please register at sports.bluesombrero.com/tmysb. The Mahwah Softball Winter Training Program for 2019 will consist of seven two-hour sessions covering all aspects of the game, including fielding, throwing, bunting, hitting and running the bases instruction. The sessions will be conducted by Mahwah High School Coaches and their players and will focus on improving the player's skills and knowledge of the game. Cost: $75.